Event Link: Find this event on Facebook. 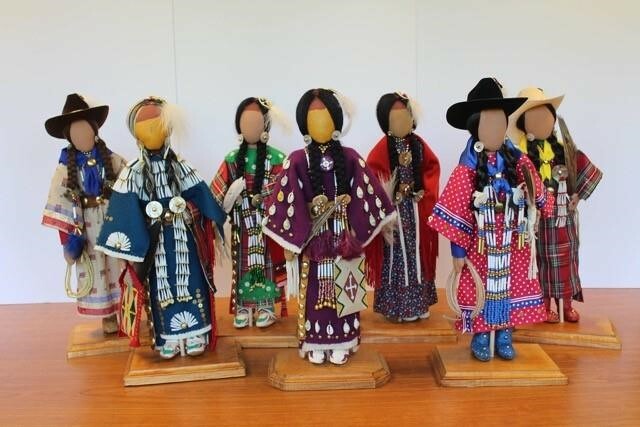 Cecelia Fire Thunder is leading a doll making workshop for middle and high school girls (ages 12-18) that lead them through the four stages of life that correspond with the Four Directions: Wiyohpeyata (west), Waziyata (north), Wiyohinyanpata (east), and Itokagata (south). Each participant will work to design their own doll through Four Directions teachings. All materials will be included in the cost of the workshop. Native artist workshops are free to Native American artists as part of Plains Art Museum’s Creativity Among Native Artists initiative, but all participants will still need to register. Native artists please contact Laura Youngbird / lyoungbird@plainsart.org.